It is not often that I get to watch soap operas, but this one I just watched was one of the most beautiful stories I've seen in a long time. "Loving, Never Forgetting" is a Chinese drama with a powerhouse cast of Taiwanese and Chinese actors. Jerry Yan (Yan Cheng Xu) plays the role of the male lead character, Li Zhong Mou and Liya Tong (Tong Li Ya) is plays the female lead, Wu Tong. The plot is standard soap opera material. Li Zhong Mou is a successful but ruthless businessman. Raised in a single parent household, Li Zhong Mou is the illegitimate son of their business rival, Xiang Yi. At the peak of his success, Li Zhong Mou discovers he has a son from a one night stand he had five years ago with their company intern. A legal battle for custody of the child ensues, however, as with most drama series, the male lead eventually falls in love with this poor, ordinary woman named Wu Tong. The antagonists are the man's mother and his scheming half-brother, Xiang Jun. But it is not really that simple once you watch it. I am sure you too will be hooked on it and wish it went on longer than 34 episodes. Here are my favorite unforgettable scenes in this drama series. Wu Tong: "I beg you. Please save my son! Please help him. Please save my son!" Li Zhong Mou: "If you don't explain it clearly to me, then I'm sorry, I can't help you." Wu Tong: "HE IS YOUR SON!" Wu Tong: "This is the road I have chosen. Even if I have to crawl, I will finish this journey." Li Zhong Mou: "Since the moment I discovered I have a son, you have never told me... exactly when did you conceive my child?" Wu Tong: "My son and I have always been poor. I didn't have money to buy him presents, so he was a bit depressed. So I told him a story... In the grasslands, there was a Mother Lion with her son. One day, the son asked his mother, 'Where is happiness?' The Mother Lion replied, 'Happiness is on your tail.' So the son kept chasing his tail, going round and round but could never catch it. Then the Mother Lion smiled and said, 'My son, happiness is not obtained like that. As long as you keep your spirits up and move forward, happiness will chase after you.'" Episode 13 - Li Zhong Mou reveals to Wu Tong that he is an illegitimate child. Li Zhong Mou: "I have no father." Episode 16 - Li Zhong Mou eventually falls in love with Wu Tong. Li Zhong Mou: "Wu Tong, tell me. Do you love me?" Wu Tong: "Yes. I used to love you. But that was in the past. When you started fighting with me over custody of Tongtong, when you told me that Tongtong would be better off with you, when you said we had nothing to do with each other, at that point, I knew. I was in a dream for the past five years. Do you know? I worked so hard to stop thinking about you! Why are you telling me this now? Why?!" Li Zhong Mou: "He would look at him with his eyes full of love and care. I really envy that. He is the right and legitimate child of Xiang Yi. As for me, I am only Li Zhong Mou." Episode 21 - Li Zhong Mou confronts his mother to stop making choices for him and his future. Li Zhong Mou: "Is marriage just based on terms? Just choose someone with wealth, money, beauty? If this is the case, why are you still alone then? Aside from Xiang Yi, there are many men who fit that standard. I want to know a person who does not prioritize benefits over emotions. You don't have the right to tell me to choose who to love. I decide my own life. I decide my own happiness." Episode 21 - Li Zhong Mou proposes marriage to Wu Tong. Li Zhong Mou: "Be patient and listen to what I have to say. The last time we were at the civil affairs bureau, you were not willing to marry me. It was because I owed you an apology. I know the thing you want is not my pity and kindness. You did not want a luxurious life nor the status name of Mrs. Li. What you wanted was someone who would sincerely give you love and respect. Someone who can give you, like the old saying goes, "If I have your true love, I will be with you until the end of the world." That day when you asked me if I love you, I will tell you now.. I love you." "This has nothing to do with our son. It has nothing to do with your past. Let me be your little prince. You are the most unique woman in this world. Will you marry me?" Episode 23 - Wu Tong resists the sexual advances of her brother-in-law Xiang Jun, who is unaware that Wu Tong and Li Zhong Mou are now married and living together. Wu Tong: "Xiang Jun, what you did to yourself really made people feel sorry for you. I can honestly tell you. and I will tell you this for the last time. The one I love is Li Zhong Muo. I loved him 5 years ago, And I love him now. He has always been the only one I love! Do you get it now?" Xiang Yi: "I want to ask you to make a decision as I have been on this crossroad before. I have already asked Xiang Jun and he said the one he loves is you. I don't know where your heart lies. Who did you choose?" Wu Tong: "I'm really sorry. I made everyone unhappy because of my reason. I have already set the record straight with Xiang Jun. I care about him, respect him and worry about him. These are all from a perspective of a friend. From the start, until now, the only one who I love has always been Li Zhong Mou. You asked me this question today. My answer is still the same. I love Li Zhong Mou. Please believe me." Episode 28 - Li Zhong Mou agrees to donate part of his liver to his biological father, Xiang Yi. Heartbreaking conversation in the hospital the night before the surgery. Xiang Yi: "Please call me that again." Li Zhong Mou: "Dad... Its been 32 years. This word, "Dad" bears deep grief for me. It feels very strange." Xiang Yi: "Son, it is my fault. I caused you to suffer for so many years." Li Zhong Mou: "Sufferings? Those past years could not even be summarized with sufferings. From what I remember, my only memory is a mother who is full of resentments. I always couldn't understand why some people have normal lives, but not me. I longed for my father, but I could only watch you from afar. Seeing how Xiang Jun has you and your love, I realized, that I am an abandoned child." Wu Tong: "Listen to my explanation. This isn't true. This really isn't true. Please believe me." Li Zhong Mou: "What else is there to explain? Do you remember when I called you from the hospital and you didn't answer? The second day when you switched off your phone, you said you were at Mei Ling's house. Actually, Zhang Yuan didn't go on business, right? You didn't go to Mei Ling's house at all. Do you still remember when I asked you later if you had anything to tell me, you said no? Why did you lie to me? Episode 31 - Li Zhong Mou gives Wu Tong one last chance to see their son. Wu Tong goes to Xiang Jun to beg him to tell the truth. She faints and Xiang Jun takes her to the hospital, only to be told by the doctor that Wu Tong is two months pregnant. Wu Tong heads to Li Zhong Mou's office to tell him the news. Wu Tong: "Zhong Mou, I have something to tell you. It won't take long.... I'm pregnant!" Li Zhong Mou: "Are you here to show off your adultery?" Wu Tong: "This is our baby!" Li Zhong Mou pushes Wu Tong and slams his fist into the wall. "I don't want to see you again. When I have signed the divorce papers, I will send them to you. He turns his back and walks away leaving Wu Tong crying. Episode 31 - Yue Qi talks to Wu Tong to inform her that anyone who signs a contract with her father's corporation will lose a significant amount of money. Wu Tong decides to warn Li Zhong Mou but Mei Ling tries to stop her. Mei Ling: "Wu Tong, don't go! He has already hurt you so much. Don't go! It is already generous of you to forgive him. You don't need to help him!" Wu Tong: "Don't be anxious. No matter what, he is still the father of my children. Moreover, he is still the man I love deeply. Even if he doesn't love me anymore, I don't want to see him hurt. Even if he is just an ordinary friend, I just can't stand by and do nothing. Mei Ling: "You're ridiculous. Why would you sacrifice so much for him? You'll be ruined." Wu Tong: "Since this has been fated, there must be a reason. If I cannot change my fate, I can only change my attitude." Episode 32 - Wu Tong receives the divorce settlement. Lin Jian Dong brings the divorce settlement documents to Mei Ling's house where Wu Tong is staying. Right after he leaves, Xiang Jun appears at their door. Mei Ling, seeing Xiang Jun pushes him out of their house but Wu Tong asks her to stop. Wu Tong drags Xiang Jun out and asks him to tell Li Zhong Mou that there is nothing going on between them. They meet at the parking lot of Li Zhong Mou's condominium. A confrontation ensues between Xiang Jun and Li Zhong Mou. Wu Tong was in a daze and drives off in Xiang Jun's car. Xiang Jun manages to get into the car with her and she drives away at top speed. They get into an accident and Xiang Jun suffers a concussion that puts him in a coma. Li Zhong Mou arrives at the scene. 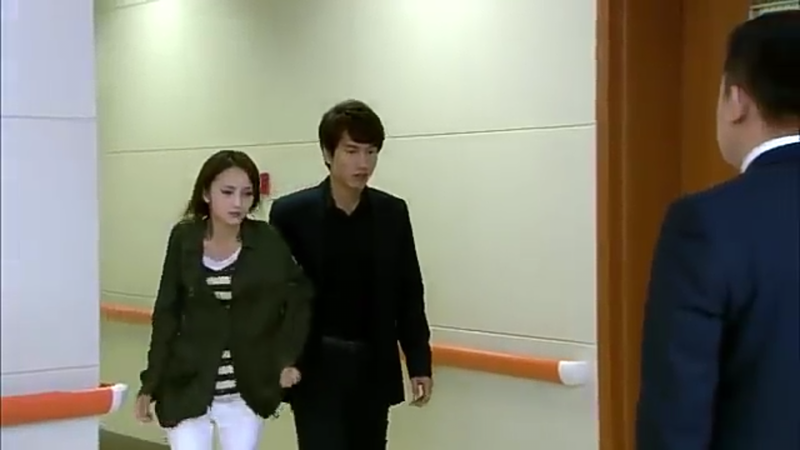 Xiang Jun is taken to the hospital. Li Zhong Mou takes the fall for Wu Tong. Li Zhong Mou: Listen to me carefully. I drove the car. Wu Tong: "What do you mean? Why?" Li Zhong Mou: "You have to pay the price for harming Xiang Jun." Wu Tong: "I didn't mean to. If the police were to investigate this, I will take responsibility." Li Zhong Mou: "I am doing this because you are Tongtong's mother. And also, you have a baby with an unknown father. I don't want them to be ashamed of you. For everything that you have given to Tongtong, I am repaying you now. I don't owe you anything now. I have already signed the divorce papers. We are over." Li Zhong Mou is arrested and taken into custody. He remains firm in his statement that he was the one who drove the car in the accident. Wu Tong goes to the hospital to see Xiang Jun who is still in a coma. Wu Tong: "Xiang Jun, I'm sorry. I caused you to be hurt. Did you know I have always regarded you as my best friend? I really did not think that you would hurt me. I 'm very grateful to you for always being by my side, for supporting me in the toughest time of my life and for helping me protect Tongtong. I really wanted to do something for you, to repay you, but this is not love. I hope you can understand. When I got together with Li Zhong Mou, I finally knew what I should do. I thought I could mend your relationship, but I didn't imagine that you would make use of me. I was really sad at that family gathering. The Xiang Jun whom I used to know was missing. He turned into a stranger to me, who was ruthless and evil. I don't blame you. Li Zhong Mou doesn't love me anymore, but I must do something for Tongtong and the baby in my belly though he doesn't acknowledge that this is his baby. He's arrested. I drove the car and caused you to get injured, but he took the fall for me. Even though he has decided to sever ties with me, but no matter what, the only thing I can do now is to beg you to wake up. Only you can explain everything and save him from being sentenced. Xiang Jun, this is your opportunity. You don't wish to keep seeing him suffer, right? Please wake up soon and let go of your grudge. Come back to your family, okay?" Episode 33 - Xiang Jun appears in court before Li Zhong Mou's sentence was handed down. All charges were dropped and Li Zhong Mou was released. Wu Tong leaves Mei Ling's house to start a new life alone. Meanwhile, Xiang Jun goes to Li Zhong Mou's house to tell him the truth. Li Zhong Mou: "What are you doing here?" Xiang Jun: "I only want to talk to you." Li Zhong Mou: "What else is there for us to take about? Don't think the past can be forgotten just because you saved me. We will never reconcile. I did not do revenge on you because of our father." Xiang Jun: "Listen to me first, okay? Frankly, I regained my consciousness for quite a while, but I couldn't face myself. Hence, I pretended to be in a coma." Li Zhong Mou: "What's the point of telling me this now?" Xiang Jun: "What Wu Tong said to me made me come to my senses. She made me realize what to do next. You misunderstood Wu Tong. I was the one behind it all. I took those photos when I drugged her with sleeping pills. We didn't do anything. I was full of hatred and lost my mind. That's why I did such a stupid thing. I couldn't accept that she chose you. That's why I chose to take revenge. I didn't think that things would turn out this serious. I didn't imagine that you'd take the fall for Wu Tong. I have to admit, your love for Wu Tong is even deeper than mine. It was my fault. I made use of her trust. I can't get her to forgive me. The only thing I can do is to reveal the truth. She loves you deeply. Please believe me." Li Zhong Mou. "I get it." Xiang Jun: "It was my fault. Please forgive me, my brother." Xiang Jun tells the truth to Li Zhong Mou's mother who felt sorry for how she treated Wu Tong. However, it was too late now. Wu Tong has left and no one knows where she went. Crisis erupts at the Li Corp. The business collapses because of a bad deal with Liang Corp. Creditors start showing up one by one, asking for repayment of the the company's loan. Xiang Yi appears and takes responsibility for repayment. He hands over all the assets of Xiang Corp. to Li Zhong Mou. Li Corp. is saved and the project in Hainan turned out to be successful and highly profitable. Li Zhong Mou then transfers all assets back to Xiang Yi. He tells the family that Li Corp will now be known as Xiang Corp and that he will change his surname to Xiang. At this point, there is still no news about the whereabouts of Wu Tong. Li Zhong Mou goes on public broadcast in the hope that Wu Tong will see it. Li Zhong Mou: "My friends, Hello. I am Li Zhong Mou. I am here today not as a businessman but as the husband of Wu Tong. I'm here to make a request. I hope that you can see this video. Perhaps, for many people, last year is no more than an ordinary year. But I will remember this year forever. Because during this time, in my world, there was you. Your love for Tongtong, your trust in friends, and your overwhelming optimism, are the desirable traits that I lacked. But I didn't know how to express my love, and I kept hurting you. My heart has never been this painful. I cannot even think how I'll live without you. So please, come back, Tong. Come back." Li Zhong Mou and Tong Tong takes to a garden at night to wait for a shooting star to make that one wish - for Wu Tong to come home. Tongtong: "Pa, look! A shooting star! I wish Mommy will come home soon." Li Zhong Mou: "Tong, Where are you? Can you see the shooting star?" Li Zhong Mou was in the middle of a meeting when his assistant Lin Jian Dong barges in and whispers something to Li Zhong Mou. They head on to the police station because according to a report, the police found a body of an unidentified woman, who fit the description of Wu Tong. Police wanted Li Zhong Mou to identify if that was the woman he was looking for. He could not find strength to look at the corpse and asked for a DNA examination instead. Li Zhong Mou: "I am begging you. Don't do this to me, okay? I don't believe it. You are not Wu Tong." Back at the Li Zhong Mou's residence, his mother cried and is full of remorse and guilt for the way she treated Wu Tong, which caused her to leave Zhong Mou and Tongtong. Everyone tried to console Li Zhong Mou while they await the results of the DNA exam. Li Zhong Mou receives a call from the police station informing them that the body of the woman in the morgue is not Wu Tong. Overwhelmed by emotion, Li Zhong Mou stands up and goes inside his room. His phone rings. It was a call from his ex-girlfriend, Zhang Man Di asking him to meet her someplace. Li Zhong Mou obliges. Zhang Man Di: "I will always remember this place. This is where you broke up with me. There is something I have always wanted to ask you... If Wu Tong hadn't shown up, would you have fallen in love with me? Li Zhong Mou did not respond. Zhang Man Di: Do you have any news about her? If you can't find her, what do you plan to do in the future? Li Zhong Mou: "As long as I am alive, I will keep looking for her." Zhang Man Di: "You really love her very much." Li Zhong Mou: "If I could still hold her hand, I won't let her go until the end of the world." Zhang Man Di: "I always thought that I could be your partner. But what a pity that I don't have this luck." (Zhang Man Di hands Li Zhong Mou an envelope) "Take a look at this. It won't disappoint you." Li Zhong Mou: (Opens the envelope and sees it contains a photo of a very pregnant Wu Tong) "Where did you find her?" 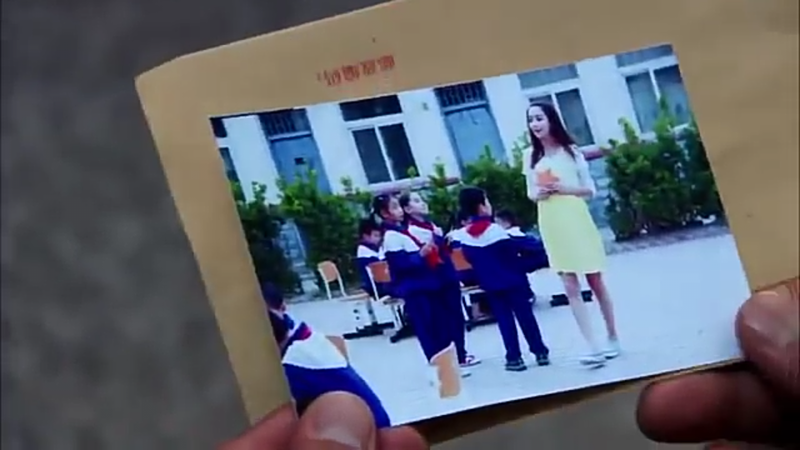 Zhang Man Di: I'm the image ambassador of Left At Home Kids Foundation. This was mailed to us from a remote village. The address is at the back of the photo. She's a volunteer in this school. Being with those children, she will be able to forget all her unhappiness. Perhaps, this is the reason why she's staying there. You rejected my love, but I couldn't stop loving you. Even though I could never be your lover, I don't wish to see you unhappy. Zhong Mou, promise me, that you must be happy, okay? Li Zhong Mou: (crying) Thank you. Thank you. Li Zhong Mou sets off to go to the place where Wu Tong is staying. His whole family was there, wishing him well on his journey. Li Zhong Mou bids good-bye to his mother, Li Zhi Ning: "I'm leaving." Li Zhi Ning: "Remember to bring my daughter-in-law home." Li Zhong Mou arrives at the school and speaks with the Director, telling him that his company is going to give a big donation to the school. He did not tell the director that Wu Tong is his wife and that his real intention of being there is to take her home with him. The director shows Li Zhong Mou around the school premises and takes him to the outdoor learning area where Wu Tong takes the children every day. Li Zhong Mou's eyes fill with tears when he finally sees Wu Tong again. However, Wu Tong's reaction was not what Li Zhong Mou expected. Wu Tong: "What are you doing here? Didn't we end it all?" Li Zhong Mou: "I'm sorry." Wu Tong: "Why are you apologizing to me? You were not at fault. Please go back. Go back to your world. You don't belong in this place. I would like to live peacefully on my own." Wu Tong leaves Li Zhong Mou in tears. Wu Tong makes a phone call to Mei Ling, asking for advice. She tells her she is confused because Li Zhong Mou found her. Mei Ling tells Wu Tong to go home with Li Zhong Mou because he loves her very much. Wu Tong hangs up the phone. Wu Tong returns to the outdoor garden at night. He reads the children's wishes written on the cards and hung on the tree. She comes across the card where Li Zhong Mou wrote the message, "I hope that the woman I love can forgive me and give me one last chance to compensate her for the rest of my life." Li Zhong Mou was there all along while Wu Tong was reading the card. Li Zhong Mou: "Wu Tong, I was thinking. Among all the wishes up there, you found mine. Does this mean we are fated?" Wu Tong: "Who do you take me for? I am not a pet summoned at your will. When you like me, you let me stay with you. When you don't like me, you abandon me. I am no longer that naive girl, that submissive girl. I don't want to live that kind of life again. I used to love you very deeply, but I don't love you now. So, please don't try to patch up. Go home. Our fate as already ended. Li Zhong Mou: "God decides our fate. Let's leave the decision to God. You said the shooting star could realize our wishes. As long as you wish sincerely, the wish will definitely come true, right? My wish is that you will forgive me. If a shooting star passes by before midnight, it means that my wish will come true. Otherwise, I will never disturb you again. Li Zhong Mou looks up to the heavens and starts to pray. He sees a shooting star and happily says, "It's the shooting star!" But then he finds out that Wu Tong is no longer with him in the garden. Wu Tong packs her suitcase to leave early the next morning. Li Zhong Mou sees Wu Tong board the bus runs after her but she continues to get on the bus that slowly pulls away from the curb. Li Zhong Mou chases after the bus on foot. Wu Tong cries as the bus moves farther away. Li Zhong Mou gets hit by a small motorized cart. He is hurt but stands up and keeps running. Seeing this, Wu Tong asks the bus driver to stop so she could get off. Li Zhong Mou and Wu Tong reconciles and they fly back home. Li Zhong Mou and Wu Tong arrive at the Li Residence and is welcomed warmly by the entire family. Wu Tong: "Aunt, I'm sorry I got you worried." Li Zhi Ning: "What did you just call me?" Wu Tong looks over to Zhong Mou who smiles and nods his head to encourage her. Wu Tong: "Ma...Pa.. I'm home." Tongtong: "Mommy, why is your tummy so big?" Wu Tong: "Tongtong, didn't you want a younger sister? She's in my tummy. Are you happy?" Wu Tong: "Tongtong, say a few words to your younger sister"
Tongtong: "Meimei, when are you coming out? I will tkae you to the amusement park." Li Zhi Ning: "Xiao Tong... first of all, welcome home. I would like to apologize to you for causing you to suffer in the past. I hope you don't hate me." Wu Tong: "Ma, don't say that. I was at fault in the past for making you angry. Don't worry, starting now, I will be loyal to you and Papa." Xiang Jun: "Wu Tong, I am sorry. As your friend, I took advantage of your trust. As your family member, I let you and my brother suffer so much. I feel very guilty." Wu Tong: Xiang Jun, In my heart, you will always be my friend and relative. Thank you for being with me during the most difficult times of my life. When I was depressed, you encouraged me to stand up." Just as the family was getting ready to have a family dinner, Wu Tong faints and falls on the floor. She was immediately brought to the hospital. Zhong Mou was informed by the doctors that Wu Tong has a tumor in her uterus that should be removed right away. It will cause Wu Tong to have massive bleeding if it ruptures as the baby grows inside. Wu Tongs's life will be in danger if that happens. However, the doctors cannot guarantee that they will be able to save the baby. They leave it up to Zhong Mou to decide. Li Zhong Mou talks to Wu Tong about her condition. Wu Tong: "I cannot abort this child. Zhong Mou..."
Li Zhong Mou: "Tong, this is also my child. I feel sorry for this child, but you can't give birth to her." Wu Tong: (crying) "I can do it. I really can. I really can give birth to her. I am begging you." Li Zhong Mou: (crying) "Tong, listen to me. We already have Tongtong. You don't need to give birth to her." Wu Tong: "Zhong Mou, she is the fruit of our love. She is God's gift to us. Touch her. You can feel her move in my belly. Do you know that I can feel her heartbeat every day? How do expect me to abort her? I am begging you Zhong Mou..."
Li Zhong Mou: "In my heart, you are a hundred times more important than her.I won't let any harm come to you." Wu Tong: "She is the proof of our love. She is the descendant of our lives. Zhong Mou, I love you. The one and only thing I can do is to give birth to your child. Please let me give birth to her." Wu Tong's parents arrive at the hospital. They leave the decision to Li Zhong Mou, as the husband of their daughter. Li Zhong Mou spends time alone outside the hospital, crying and unsure of what to do. Night time comes Li Zhong Mou takes Wu Tong out for a walk in a wheelchair. Li Zhong Mou: "Tong, I agree with you. I know, if I want you to abort the baby, your heart will hurt more than your body. You always believe this world is a dreamland. As long as you don't give up giving birth to my baby, you'll have a better life. That's what you believe, right?" Wu Tong: (looking weak and pale) "Zhong Mou, thank you very much. Thank you. Thank you very much. Li Zhong Mou holds Wu Tong against his chest. Li Zhong Mou: "I am willing to believe in this dream. Let's face the future together. Tong, I owe you one thing in this life. I don't know if I will be with you in the next life. Hence, I must repay you now. Wu Tong... Wu Tong...."
Li Zhong Mou looks down and sees blood flowing down Wu Tong's leg. Blue sky. Family picnic. Zhong Mou holds his baby girl. 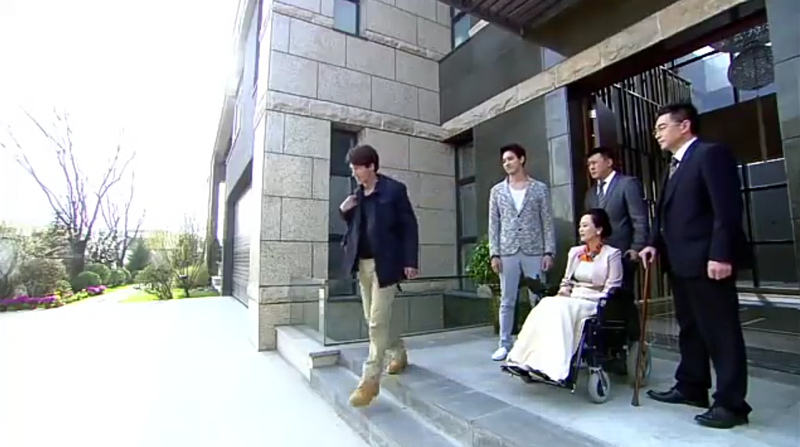 Xiang Jun takes Tongtong to his father and baby sister. Xiang Jun: (looking at the baby in Zhong Mou's arms) "She really looks like Wu Tong." Tongtong: "Papa, can I hold my baby sister?" Li Zhong Mou: "You can hold her when you're a little older. Come, give her a kiss." Xiang Jun: "Come, brother. Let's go over there." Xiang Yi: "Zhi Ning, without Wu Tong, our family won't be like this today." Li Zhi Ning: "We should have understood her earlier." Li Zhong Mou: "Ma, It is not too late yet." Wu Tong arrives and joins the whole family. All is well that ends well. This is a typical "rich guy falls in love with poor girl" kind of drama, however, there was an element of a one night stand which got the girl pregnant. The lead actor discovers that the boy he saved from an accident that happened during an event where he and his movie-star girlfriend were guests of honor was actually his own son. Like other soap operas, there is the custody battle, the family "skeletons" (the lead actor is an illegitimate child himself), the hatred between the half-brothers (Zhong Mou and Xiang Jun), the distrust of Zhong Mou's mother towards Wu Tong. For me, what sets it apart from other soaps is the chemistry between the male and female leads. The character of Li Zhong Mou was portrayed by Jerry Yan who showed a more mature acting style. Compared to his other drama series where he most often played the role of a spoiled, rich brat, Jerry Yan was totally different in Loving, Never Forgetting. His cute, bedimpled smile was a rarity in this series. This is also the first time I have seen him really cry. Not those fake, induced tears, but real, crying tears! Tong Liya was the perfect choice to play the role of Wu Tong. She exudes feminity, innocence and naiveness to a fault. She portrayed the role of a woman who would go to the ends of the earth to protect her child. Denny Huang who plays Xiang Jun was equally effective in his role. Honestly, I hated him so much for being so scheming! Comic relief was provided by the Zhong Mou's special assistant, Lin Jian Dong, played by Lu Xing and Liang Yue Qi, portrayed by Veronique, who was hopelessly in love with Xiang Jun but her love was never reciprocated and she ended up with Lin Jian Dong eventually. Meteor Garden was mentioned at least three times in the drama, and the "chasing after the bus" was like watching Meteor Garden 1 where Dao Ming Si chases after San Cai. I don't know if it is the same director for both drama series but I wish they would come up with a different scenario when the female lead has to leave. Maybe chasing after a train or stopping an airplane? haha. Just something different. In conclusion, I would give this series a 4.5 out of 5 stars. I did make me cry, laugh, and get angry as I watched episode after episode. A simple but touching story and the dialogue was very moving. Thank you for the review. I like this drama series because I am a fan of Jerry. He show a different side here. Very mature. I want to watch this again. Hi Michelle! I am a big fan of Jerry too. It is nice to see him do more mature roles. He does have a lot of acting talent and I wish he would do more drama series. I watched this many many times. I love Jerry Yan Cheng Xu since Meteor Garden. Nice screen chemistry with Tong Li Ya. Hope to see another series with them in starring role. Please do the Starlit. Hello, Tong Xin! Thanks for reading my blog. 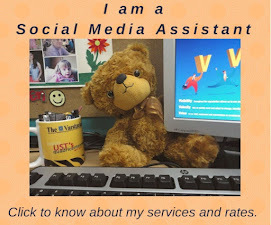 I will do Starlit as soon as I am done with my other tasks.